We’d love your help. Let us know what’s wrong with this preview of The Inmates Are Running the Asylum by Alan Cooper. In this book about the darker side of technology's impact on our lives, Alan Cooper begins by explaining that unlike other devices throughout history, computers have a "meta function": an unwanted, unforeseen option that users may accidentally invoke with what they thought was a normal keystroke. Cooper details many of these meta functions to explain his central thesis: pr In this book about the darker side of technology's impact on our lives, Alan Cooper begins by explaining that unlike other devices throughout history, computers have a "meta function": an unwanted, unforeseen option that users may accidentally invoke with what they thought was a normal keystroke. Cooper details many of these meta functions to explain his central thesis: programmers need to seriously re-evaluate the many user-hostile concepts deeply embedded within the software development process. Cooper's writing style is often overblown, with a pantheon of cutesy terminology (i.e. "dancing bearware") and insider back-patting. (When presenting software to Bill Gates, he reports that Gates replied: "How did you do that?" to which he writes: "I love stumping Bill!") More seriously, he is also unable to see beyond software development's importance--a sin he accuses programmers of throughout the book. To ask other readers questions about The Inmates Are Running the Asylum, please sign up. Please note that the ISBN13 depicted on the info is wrong, the number showing is the UPC code, the actual ISBN13 is 9780672316494. Anyone who has rights to edit this info please do so. Thank you? 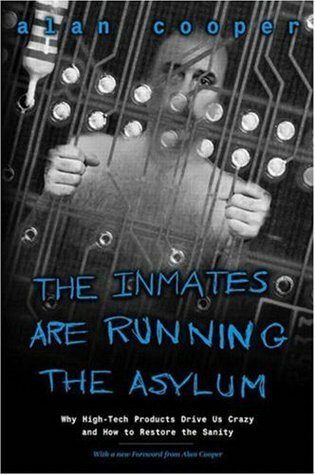 Isbn13 is taken by an existing book with the title "The Inmates Are Running the Asylum: Why High Tech Products Drive Us Crazy and How to Restore the Sanity". Search for 9780672326141 in the header to view it. If you believe this is an error please double-check your data, then check the Goodreads Librarians group. ISBNs are optional so you can also add this book without an ISBN. As a software developer, this book's thesis -- that software should be designed before it's written, by people other than the people writing it -- was a revelation. It's such an obvious observation in hindsight that you might be surprised to learn that software development isn't done this way. It's not, and it's because the inmates (software developers) are allowed to drive the product development process. Cooper makes an impassioned plea to the business world to bring software development under As a software developer, this book's thesis -- that software should be designed before it's written, by people other than the people writing it -- was a revelation. It's such an obvious observation in hindsight that you might be surprised to learn that software development isn't done this way. It's not, and it's because the inmates (software developers) are allowed to drive the product development process. Cooper makes an impassioned plea to the business world to bring software development under the same standards and practices that have been forever used in physical design, manufacturing, architecture, construction, civil engineering, and every other discipline where a team of individuals creates something. Before I began reading, I was afraid that Cooper was a Luddite, or that he just distrusted programming in general. Nothing could be further from the truth: Cooper was a programmer himself for a few decades before becoming so fed up with the bad user interactions he was creating that he decided to confront the problem head on. When he talks about the lack of design, he means "user interaction design" -- he has a lot of respect for the difficult and separate problem of software design. It's precisely because writing software is so difficult, and so poorly understood by most business people, that software developers have such a disproportionate role in current user-interaction design (to the extent that it exists). That it's usually done as an afterthought, by people in no way representative of a normal computer user, is the chief reason that human-computer interaction is so woefully bad in most consumer software. It's even worse in business-internal software, when users are literally paid to put up with the aggravation. This is THE thing that essentially put me on the career path I am on now. Well written, has some funny points, but you don't need a degree in engineering or computer science to understand it. In fact if you want an explanation as to why computers and software can irritate anyone, here is the answer. It is not bad book. Many parts are really useful for all programmers. But I think that some parts is unnecessary. The author said CEO and Senior managers can resolve all programming problems. It is a good idea, although may be I think that because I am a developer. Developers like their work, but unfortunately they can not design any UI. I am sure it is true. Alan provided many efficient tools for creating very qualitative software prototypes. Say more.. The author described a new software develo It is not bad book. Many parts are really useful for all programmers. But I think that some parts is unnecessary. The author said CEO and Senior managers can resolve all programming problems. It is a good idea, although may be I think that because I am a developer. Developers like their work, but unfortunately they can not design any UI. I am sure it is true. Alan provided many efficient tools for creating very qualitative software prototypes. Say more.. The author described a new software development process where UI designers have the major role. Obviously this process will take a lead position in the future development. Now, we can look as Apple company applies these ideas in its software development process. And it is the right way. If this is meant to be the business case for interaction design, it's a pretty sad business case. The ideas are good, but they way it's put is frustrating. There's some useful material in this book, but it's hard to dig out in the constant noise of Mr Cooper's whining. You could easily scan the first 120 pages, then read about half of the chapters on persona and goals, and you'd have it. I am left with the taste of BUFD in my mouth too. That may be a misunderstanding, but it seems that we need to If this is meant to be the business case for interaction design, it's a pretty sad business case. The ideas are good, but they way it's put is frustrating. I am left with the taste of BUFD in my mouth too. That may be a misunderstanding, but it seems that we need to have a big interaction design to get it all right, right from the beginning. This is not something I like the idea of. Yes, interaction design should be handled by pro's. Thanks Alan. Although Alan Cooper’s 1998 book The Inmates are Running the Asylum is now aging, it is still a helpful read for anyone in the software industry that doesn’t accept the importance of interaction design to software. Even if you are someone who does accept ID’s value, if you don’t believe it should happen before implementation begins, and with a separate team of professionals than your developers, then you frankly need to read it. There is no longer any question about the validity of Cooper’s argu Although Alan Cooper’s 1998 book The Inmates are Running the Asylum is now aging, it is still a helpful read for anyone in the software industry that doesn’t accept the importance of interaction design to software. Even if you are someone who does accept ID’s value, if you don’t believe it should happen before implementation begins, and with a separate team of professionals than your developers, then you frankly need to read it. There is no longer any question about the validity of Cooper’s arguments in Inmates. According to the ACM Digital Library, it is cited by at least 231 scholarly and professional articles on design. And if you really do not have any prior exposure to the idea of interaction design, then go buy or borrow it now before I metaphorically smack you on the side of the head. Perhaps the most validating thing about Inmates from a 2014 perspective is how successful Cooper’s analysis has been in predicting the past ten or fifteen years of software. For example, in one part of the book he case studies Apple and states that although Apple up to then had made every poor business decision imaginable, they remained in business with a dedicated cult following of customers due to the centrality of interaction design to everything they do. He predicts that they will make a comeback. Lo and behold, Apple is a more profitable company than Microsoft today. If you don’t read books for the truth of their insights, then read Inmates for its entertainment value. With his fond lampooning of software developers as “homo logicus” and his continually humorous anecdotes about poor product design and its impact to his personal life, Cooper keeps things light and drives his points home while avoiding either a know-it-all or boorish attitude. He actually sounds more like a really excited design geek. Inmates reads less as diatribe and more as passionate outpouring. At any rate, developers and managers of all stripes will benefit from its balanced view, and everyone else involved in software will get more than a few nuggets to think over about their current projects. It’s a nice little book and a great reminder of how interaction design needs to play a central role in software. Four of five stars. Inmates is all about design. Bad design is rife in the computer technology arena according to Cooper. That’s true, especially when the book was published in 2004 (for those who don’t realize, this is before the iPhone, the Kindle, YouTube, and Gmail. Everyone was on Windows XP, and iTunes was one year old). Cooper hates bad computer design. I mean REALLY HATES bad computer design. He has so much nerdrage against programmers that he calls them at various points in the book “sadistic”, “unreasonab Inmates is all about design. Bad design is rife in the computer technology arena according to Cooper. That’s true, especially when the book was published in 2004 (for those who don’t realize, this is before the iPhone, the Kindle, YouTube, and Gmail. Everyone was on Windows XP, and iTunes was one year old). Cooper hates bad computer design. I mean REALLY HATES bad computer design. He has so much nerdrage against programmers that he calls them at various points in the book “sadistic”, “unreasonable”, “ridiculous”, and non- human (though that last one is supposed to be ironic). I found this off-putting. You can hate bad UI all you like, but if you are so focused on disliking it you will alienate your audience. I felt like I was reading YouTube comments. 1. Design needs to be goal-oriented rather than task-oriented. That is, what a user trying to accomplish rather than what process used should be the focus. 2. Be specific about who you are programming for. If you try to please everybody you will please nobody, so please a specific type of person. 3. Ease of use should trump features. Adding features that are hard to use is not adding value, it is adding frustration. Read this for the June meeting of the Vancouver User Experience Book Club. This was one of those "I can't believe it took me so long to read this" type books. I was already well on-board the user-centered design train, but this gave me some new tools to think about and describe the value of UX. I especially liked the section on Homo Logicus, which I have now been observing everywhere. I definitely have a component of that in myself, so having the concept is a good way to check my own thinking agai Read this for the June meeting of the Vancouver User Experience Book Club. I especially liked the section on Homo Logicus, which I have now been observing everywhere. I definitely have a component of that in myself, so having the concept is a good way to check my own thinking against what a normal human might think. A classic on user-centered design, especially as it relates to computerized products (that is, most products). Cooper meanders at times, and he spends longer than is now needed to build the business case for moving interaction design out of the hands of programmers. But he's spirited and instructive and (mostly) as relevant as ever. Now that I'm expand my consulting business into user experience and product development, I got a lot from this book. I look forward to using the tools described in i A classic on user-centered design, especially as it relates to computerized products (that is, most products). Cooper meanders at times, and he spends longer than is now needed to build the business case for moving interaction design out of the hands of programmers. But he's spirited and instructive and (mostly) as relevant as ever. In The Inmates are Running the Asylum, computer programmer Alan Cooper argues that, in contemporary software development, there has been a lack of attention paid to creating a user-friendly end product. Specifically, he suggests that programmers, who have majority (if not exclusive) control of the finished merchandise, have different objectives than the users for whom the product is meant: programmers care about how the computer "computes" and tend to ignore the ease with which the user can inte In The Inmates are Running the Asylum, computer programmer Alan Cooper argues that, in contemporary software development, there has been a lack of attention paid to creating a user-friendly end product. Specifically, he suggests that programmers, who have majority (if not exclusive) control of the finished merchandise, have different objectives than the users for whom the product is meant: programmers care about how the computer "computes" and tend to ignore the ease with which the user can interact with the software. Because user testing is ignored or introduced too late in the process, programmers tend to leave out design elements that would make their products more user-friendly. The theme of the book is that interactive products need to be controlled by interaction designers instead of software engineers, and that this control must begin in the initial stages of the product’s development. Once Cooper has given an overview of these broad ideas, he proceeds to explore the issue in-depth. In the first several chapters in particular, the author makes it his objective to go over his main points again and again, restating, rephrasing, and looking at the issue from every possible angle. He repeats his conclusions numerous times, based on different types of evidence because, he claims, his suggestions are so unintuitive to those in control of the finished product (the programmers). To this end, he introduces what “bad” software is and shows how the software development process itself leads to these interaction problems. Delving into the nature of the programmers themselves, he argues that their methodology and mindset makes them unsuitable for creating user-friendly programs and discusses why alternatives to interaction designers fail. He then elucidates the role of the interaction designer and ends by emphasizing that managers must force everyone, particularly the programmers, to be obsequious to the interaction designer in order to make their efforts worthwhile. Cooper’s book is fairly straightforward and he manages to avoid all but the essential technical terms that might confuse a reader. When those technical aspects do creep up in later chapters, his style helps make them more accessible. When reading this, I couldn’t help but make the occasional reference to Edward Said’s Orientalism. In a sense, both authors are attempting to do the same thing: overturn a system that seems intuitively wrong but is difficult to change, due to the entrenched interests/mindsets of the people that are most directly involved with it. Comparing it to Orientalism, however, is giving it far too much credit. As one gets to the end of the book, there is more of a sense that, while the problem he describes is very real, he is also trying to “sell” what he does (he runs an interaction design consulting firm). This comes off most strongly in the way he divides computer users into two groups: if you think things are at all okay the way they are, then you are an apologist. If you can only use the computer to function in the areas that you absolutely must, then you are a survivor. In essence, disagree about the severity or nature of the problem and you are the enemy. Because spending 30 seconds listening to a proposal and responding “Yeah, that sounds good” is much worse than being stuck on a 14-hour flight with a crappy airline because your assistant decided that a closer time to your original choice was more important than a reputable airline. In essence, Cooper does what he criticizes everyone else for doing: he insists that computers be built around what things that he finds important, and then claims to represent everyone. He complains that “software is always whining at me with confirmation dialog boxes”, as if the half-second it takes to confirm is really that big of a problem. I think that there are few, if any, out there who have not encountered a situation where a fritzy computer or accidental click might have led to catastrophe if not for a determined confirmation box. Just the other day, my mouse pointer shot across the screen and tried to close my browser. Had it not been for the confirmation box, I would have had to re-open (not to mention remember) the dozen or so tabs I had. His entire argument is based around the user not being as technically savvy as the programmer, yet he thinks that confirmation boxes that help guide users and avert mistakes are a hindrance. All this is not to say that the section is useless, but some of the examples and analogies he uses do little to strengthen his argument. He is also too optimistic in believing that there are solutions that can please everyone. In an example dealing with the design of an airplane seat entertainment computer, he decides that the “persona” he is going to design for is an elderly man with arthritis, and that he will include features to (unobtrusively) satisfy the needs of the more technically-advanced customers. First of all, for a guy who does not even want his waiter to try and determine a salad he would like, Cooper is quick to assume that the other “personas” will be happy to jump through a small hoop or two to access the features and usability that the elderly man cannot and will be happy to do so. More importantly, however, his solution, a dial rather than a touch screen, is far from perfect. Anyone who has taken a long airplane flight in recent years probably knows just how easy it is to break a touch entertainment device on a plane. Now, imagine what would happen with a dial, something children, and a lot of bored adults, would fiddle with subconsciously. Over millions of flight hours and customers, how long does he expect that dial to last before it wears off or breaks? Touch screens can be broken of course, but it takes a lot more effort than with a mechanical dial. In practice, Cooper’s argument boils down to taking software interactivity away from the hands of programmers and putting it into those of interaction designers. On the whole I agree with him and believe that interaction designers have a much better idea of what users want, but it is not as perfect a solution as he suggests. Interaction designers are (as the author himself proves) subjective and imperfect and are simply making very educated guesses that are far superior to those of the programmers. This book was written in 1998 for programmers, to convince them of the importance of a separate (and paramount) process of interaction design. As most users of technology will probably attest, however, the book’s general message is still relevant today, and non-programmers will, if nothing else, gain great insight into why it is that so many products are so non-user friendly. Cooper’s argument is excellent and valuable, but must be taken with a grain of salt as well. Seminal work on interaction design in software; must read if you're in the business of designing software applications for users. I find myself now recognizing (and getting angry with) the pitfalls Cooper railed against in the book, both in my work and in the products with which I interact, which speaks to the impact of the book. I enjoyed this book a great deal. It has a wonderful mix of humor, information and just good book structure. It is a must read for everyone that is, works with programmers, or uses the final products of programmers. Essentially, anyone who could be reading this review. Where some UI authors drone on about why everything is bad and they're so smart but give little proof of that, Cooper makes you laugh at what is wrong and then offers multiple solutions to the problems. It's entertaining and refres I enjoyed this book a great deal. It has a wonderful mix of humor, information and just good book structure. It is a must read for everyone that is, works with programmers, or uses the final products of programmers. Essentially, anyone who could be reading this review. Where some UI authors drone on about why everything is bad and they're so smart but give little proof of that, Cooper makes you laugh at what is wrong and then offers multiple solutions to the problems. It's entertaining and refreshingly current without throwing out the past, bloating his ego or boring you with page after page of going-to-get-to-my-point-any-second-now writing. His insights into the various situations that plague the computer industry are quite good and his solutions are sound. It's high time companies start re-structuring, since bad program design is getting into nearly everything that is controlled with electricity. Other good things about the book are the care at which the sections are thought out and the brevity of each section. In most chapters he knows when to shut up and get on to the next point. And the next point is most often a nice progression from the previous, and so on. The flow is very good and the points are well made. It isn't without its troubles but when for instance he repeats himself, it isn't as bad as many authors.. It is often to recap, reference back, say just in case the reader has not read the previous telling, or for the effect of restating so obviously. The first 2/3's of the book basically detail cautionary tales about products that didn't have sufficient design, or else they make the author's case that design is neglected. These would make great arguments if you had to sell an idea to a manager or development team (or if you felt insecure and needed a hug). The last third provides some great insight into design practices. I found his suggestions very practical. I wish this section was longer than the first two. As a software developer at a smal The first 2/3's of the book basically detail cautionary tales about products that didn't have sufficient design, or else they make the author's case that design is neglected. These would make great arguments if you had to sell an idea to a manager or development team (or if you felt insecure and needed a hug). As a software developer at a small company, I found this book very useful for my day-to-day work. Also I highly recommend the similar book "About Face" which details good GUI design (as opposed to general product design, which this book focuses on). What I don't like about this book is the author's tone. Like most interaction designers, he reminds me of the Mac zealots of old who have all the world's answers. He does have very good points, but he still comes across as pushy and overconfident. - it makes a lot of stereotypical and cynical statements about programmers, and many of those are unfortunately, correct - people should be aware of them. This is a kind of parallel volume to Donald A Norman's "Design of Everyday Things". As a confirmed klutz in life, these two authors are my heroes. Sometimes it's helpful to be reassured that it's not always just me, that things appear to me to be appallingly designed because they are, in fact, appallingly designed. By lazy, uncaring "design professionals". This book concentrates more on issues and products related to computing (Bill Gates: are you listening? are you even capable of listening?). A r This is a kind of parallel volume to Donald A Norman's "Design of Everyday Things". A refreshing clarion call for change. Normally I detest the phrase "paradigm shift", as exemplifying the worst of corporate jargon. But here it is appropriate: the author is calling for nothing less. Every once in a while you'll read a book or part of a book that completely shifts your thinking. This is one of those books. Alan Cooper (father of Visual Basic) presents for us a litany of horrific examples of interface design, and lays out the case for why spending time and money up front on usability and interaction design will produce the greatest returns of all the steps in software development. But the paradigm shift occurs in Chapters 9 and 10, "Designing for Pleasure", "Designing for Pow Every once in a while you'll read a book or part of a book that completely shifts your thinking. This is one of those books. Alan Cooper (father of Visual Basic) presents for us a litany of horrific examples of interface design, and lays out the case for why spending time and money up front on usability and interaction design will produce the greatest returns of all the steps in software development. But the paradigm shift occurs in Chapters 9 and 10, "Designing for Pleasure", "Designing for Power", where Cooper hits home the power of the user-centered design process and illustrates the inherent mistakes which almost all software developers make during development. Here's a hint: if you start with requirements specifications, you're already screwed. 09/17/2012: The author's incessant whining makes this book hard to read at a pace faster than half a page a week. I wish it was a terrible book so I could stop reading it. Thanks to the author and others like him, the world of software development has come along way since this was written. It's not where it needs to be, but it's better. So if you can slog through the long-winded, condescending arrogance that is this book you'll find a lot of really compelling arguments for why 09/17/2012: The author's incessant whining makes this book hard to read at a pace faster than half a page a week. I wish it was a terrible book so I could stop reading it. So if you can slog through the long-winded, condescending arrogance that is this book you'll find a lot of really compelling arguments for why interaction design is needed. A really sexist and insulting quote by Tom Corddry killed an otherwise good book for me: "Designers are invariably female, are talkative, live in lofts, have vegetarian diets , and wear found objects in their hair. Developers are invariably male, eat fast food, ands onto talk except to say, 'Not true'." This is the book that introduced me to interaction design, and helped me realize that this is what I wanted to do instead of programming. I recommend it because more programmers and their managers need to understand that, whether they are conscious of it or not, they are doing design work, and even if they have the best intentions, it's not their area of expertise. It's book Must read for UI experts and IT mangers. Especially for junior UX. There is a little bit information about prototyping method. The aim of this book is converting of your mind in sphere of creating apps and web sites. No central theme. No focus. Discussions are more religious and with prejudice than with any substance. Great overview of business need for user centered design. Must read for any UX practitioner! Cooper knows what he's talking about. I found this book frustrating. It's has a number of great design insights, but they are mixed with some truly awful advice on what programmers are like and how to build software, that I would hesitate to recommend it to any "business" person (the audience identified in the preface), as the advice in this book may cause more problems than it solves. * Good discussion of how programming is not like manufacturing or building physical goods. * Love the ideas behind where software design goes wron I found this book frustrating. It's has a number of great design insights, but they are mixed with some truly awful advice on what programmers are like and how to build software, that I would hesitate to recommend it to any "business" person (the audience identified in the preface), as the advice in this book may cause more problems than it solves. * Love the ideas behind where software design goes wrong. E.g. the needs of a computer and a user are very different, and that trying to satisfy both as a programmer inherently creates conflict; physical device has one concrete use for every part, but software may have different "modes" for each part; physical products have inherent limits on the number of "features", whereas software doesn't; treating the interface as something you slap on later is a recipe for failure. * The ideas behind using personas, scenarios, and building software to accomplish goals (not tasks) are very powerful. * I'm a big fan of the concept that software should be "polite" and the examples that go with it. * Treats software as the sole exemplar of bad design. In reality, there is bad design everywhere. Only reason some mechanical systems are better designed is a) they've had way more time to develop those design practices and b) most mechanical devices are much simpler than software systems. * Claims that computer literacy shouldn't be a requirement of using computers. That's like saying knowing how to read shouldn't be a requirement of using books. * The author is WAY too dismissive of iterative development and "ship early and often". He claims that a) no good design has ever come from being iterative, b) 1 year release cycles are too fast for meaningful design, and b) software should be built like movies, with a massive "pre-production" phase where you do a huge, detailed, up front design. This is completely counter to everything we've learned about software development in the last 20 years and should be largely ignored. Every single good design is the result of enormous amounts of iteration and every good piece of software has evolved from something much smaller and simpler. * Repetitive. The first 9 chapters (more than half the book) are about all the things that are wrong with design today. That's a bit too much. * Very disrespectful of programmers, especially in part 3 of the book. Describes programmers almost as a different species, using lots of stereotypes. In fact, at points, the book seems to use the word "programmer" as a synonym for "someone who is a terrible designer." Even makes the absurd claim that bad UI is just the way nerds are getting revenge against jocks. Seriously? Overall: skim quickly for the excellent design advice, and ignore all the horrible parts on how to run software projects or what programmers are like. Reducing the cost of programming is not the same as reducing the cost of manufacturing. It's more like giving cheap tools to your workers than it is like giving the workers smaller paychecks. The companies that are shipping programming jobs overseas in order to pay reduced salaries are missing the point entirely. Ironically, the best way to increase profitability in the information age is to spend more. Treating any aspect of software design and construction as if it were a manufacturing process courts failure. In all other construction disciplines, engineers plan a construction strategy that craftsmen execute. Engineers don't build bridges; ironworkers do. Only in software is the engineer tasked with actually building the product. Only in software is the “ironworker” tasked with determining how the product will be constructed. Only in software are these two tasks performed concurrently instead of sequentially. But companies that build software seem totally unaware of the anomaly. I believe that there are two kinds of executives: those who are engineers, and those who are terrified of engineers. Communications can be precise and exacting while still being tragically wrong. To be a good programmer, one must be sympathetic to the nature and needs of the computer. But the nature and needs of the computer are utterly alien from the nature and needs of the human being who will eventually use it. The creation of software is so intellectually demanding, so all-consuming, that programmers must completely immerse themselves in an equally alien thought process. In the programmer's mind, the demands of the programming process not only supersede any demands from the outside world of users, but the very languages of the two worlds are at odds with each other. The process of programming subverts the process of making easy-to-use products for the simple reason that the goals of the programmer and the goals of the user are dramatically different. The programmer wants the construction process to be smooth and easy. The user wants the interaction with the program to be smooth and easy. These two objectives almost never result in the same program. Playing a violin is extremely difficult but low in cognitive friction because—although a violinist manipulates it in very complex and sophisticated ways—the violin never enters a “meta” state in which various inputs make it sound like a tuba or a bell. The violin's behavior is always predictable—though complex—and obeys physical laws, even while being quite difficult to control. In contrast, a microwave oven has a lot of cognitive friction, because the 10 number keys on the control panel can be put into one of two contexts, or modes. In one mode they control the intensity of the radiation, and in the other they control the duration. This dramatic change, along with the lack of sensory feedback about the oven's changed state, results in high cognitive friction. I prefer the term interaction design to the term interface design because “interface” suggests that you have code over here, people over there, and an interface in between that passes messages between them. It implies that only the interface is answerable to the users' needs. The consequence of isolating design at the interface level is that it licenses programmers to reason like this: “I can code as I please because an 'interface' will be slapped on after I'm done.” It postpones design until after programming, when it is too late. Like putting an Armani suit on Attila the Hun, interface design only tells how to dress up an existing behavior. The prodigious gifts of silicon are so overwhelming that we find it easy to ignore the collateral costs. If you are stranded on a deserted island, you don't care much that your rescue ship is a leaky, rat-infested hulk. The difference between having a software solution for your problem and not having any solution is so great that we accept any hardship or difficulty that the solution might force on us. Most software vendors don't know how to make their programs easy to use, but they sure know how to add features, so that is what they do. Physical objects, such as my Swiss Army knife, are subject to a natural brake on the proliferation of marginal features. Each new blade or accessory costs money for the manufacturer to build into the knife. The maker of the knife knows this, and each proposed new feature must pass a gauntlet of justification before it makes it into a shipping product. In engineering terms, this is called a _negative feedback loop_, in which intrinsic forces trend toward stability and equilibrium. Software architect Scott McGregor points out that Gresham's Law—that bad currency drives out good—is also relevant here. If there are two currencies, people will hoard the good one and try to spend the bad one. Eventually, only the bad currency circulates. Similarly, bad schedule estimates drive out good ones. If everybody makes bogus but rosy predictions, the one manager giving realistic but longer estimates will appear to be a heel-dragger and will be pressured to revise his estimates downward. Most product managers that I have worked with would rather ship a failure on time than risk going late. It has been said that the way Stalin cleared a minefield was to march a regiment through it. Effective? Yes. Efficient, humanitarian, viable, desirable? No. I am not saying that you cannot learn from trial and error, but those trials should be informed by something more than random chance and should begin from a well-thought-out solution, not an overnight hack. Otherwise, it's just giving lazy or ignorant businesspeople license to abuse consumers. Develop a precise description of our user and what he wishes to accomplish. The broader a target you aim for, the more certainty you have of missing the bull's-eye. If you want to achieve a product-satisfaction level of 50%, you cannot do it by making a large population 50% happy with your product. You can only accomplish it by singling out 50% of the people and striving to make them 100% happy. It goes further than that. You can create an even bigger success by targeting 10% of your market and working to make them 100% _ecstatic_. It might seem counterintuitive, but designing for a _single user_ is the most effective way to satisfy a broad population. Giving the persona a name is one of the most important parts of successfully defining one. _A persona without a name is simply not useful_. Without a name, a persona will never be a concrete individual in anyone's mind. There is an easy way to tell the difference between tasks and goals. Tasks change as technology changes, but goals have the pleasant property of remaining very stable. For example, to travel from St. Louis to San Francisco, my goals are speed, comfort, and safety. Heading for the California gold fields in 1850, I would have made the journey in my new, high-tech Conestoga wagon. In the interest of safety, I would have brought my Winchester rifle. Heading from St. Louis to the Silicon Valley in 1999, I would make the journey in a new, high-tech Boeing 777. Designing from tasks instead of goals is one of the main causes of frustrating and ineffective interaction. One important implication of the research is remarkably profound: If we want users to like our software, we should design it to behave like a likeable person. If we want users to be productive with our software, we should design it to behave like a good human work mate. Simple, huh? The program just doesn't care about me and treats me like a stranger even though I'm the only human it knows. Although the _code_ may succeed or fail in its ability to handle edge cases, the _product_ will succeed or fail in its ability to handle daily use and necessary cases. From an interaction designer's point of view, the divisions between hardware and software are inconsequential because they are inconsequential to a user. The user doesn't care which is more expensive to build. In programming, there is always an infinite variety of ways to solve any given problem. Experienced programmers, as they explore their options searching for the optimum solution, occasionally stumble on a technique that allows them to throw out hundreds—or even thousands—of lines of code. This only happens when the programmer has made a valuable conceptual leap forward. When she can toss out lots of code, her program is getting better. Less code means less complexity, fewer bugs, fewer opportunities for invalid interactions, and easier maintainability. Interaction designers share this sensation. As they explore their options, they discover places where they can dispense with entire screens or discard large and complex dialog boxes. The designer knows that each element of the user interface is a burden on the user. Each button and icon is one more thing that the user must know about, and must work around, to get to what she really wants. Doing more with less is always better. There is a big difference between _listening to_ and _following_ your customers. Listening is good. It means applying your own filter to what you have heard. Following is bad. It means merely doing what your customers tell you to do. This book is an interesting glimpse into development history. It was written right when people were starting to see the issues with the waterfall development methodology, but before the current agile methodologies (eg. Scrum, Extreme Programming, Test Driven Development, Feature Driven Development) were well established. It proposes a new methodology called interaction design where interaction specialists develop models (personas) for each expected type of user, and then design decisions are mad This book is an interesting glimpse into development history. It was written right when people were starting to see the issues with the waterfall development methodology, but before the current agile methodologies (eg. Scrum, Extreme Programming, Test Driven Development, Feature Driven Development) were well established. It proposes a new methodology called interaction design where interaction specialists develop models (personas) for each expected type of user, and then design decisions are made based on these personas. The value of this technique is that it adds a bit of humanity to the design system and forces the developers to think about problems from the user's perspective. For example, our persona named Javin is a middle class retired iron-worker from Michigan who is trying to check his email. Would Javin want to open a command prompt and configure his email client configuration settings through vim? No, he probably wouldn't and he would raise an eyebrow if you told him to do so ("What do you mean configuration settings and vim? I just want to see my emails"). This book goes a bit too far in trying to justify why programmers (which he calls Homo logicus) are utterly incapable of understanding how a regular user feels because they are too used to dealing with difficult software and challenging problems. In his mind, this is why software developers should be relegated to merely coding designs that are handed to them and should be removed from the design process entirely. Towards the end of the book, it feels less like a discussion of user interface design and more like a long pitch for why you should use his interaction design consulting company (Cooper Interaction Design founded 1992, and now known simply as Cooper). However, there is still a lot of good information in the book including several real-world examples of both good and bad user interface design, and a lot of discussion on the ideas behind designing simple and powerful user interfaces. Overall, it is a good book to get people thinking about user interface design, however, everything in the book should be weighed appropriately, given the possible ulterior motives of the author. Нельзя решить проблему, находясь внутри системы, которая ее породила. 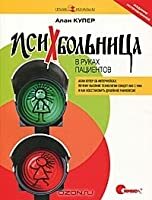 Если нет описания продукта и того, что почувствует/увидит пользователь, то у продукта нет состояния "готов"
Перечень желаемых возможностей - это ингридиерты "пирога", но без правильного рецепта получится фигня. Существует миф о том, что рынок непредсказуем, и этот миф поддерживает броуновское движение вместо проектирования и планирования. Персонажи помогают решить задачу проектирования, сценарии их взаимодействия повседневные и обязательные прорабатываются как основные. А крайние случаи можно и не прорабатывать детально. Описание продукта должно включать практические и личные цели человека. Личные цели означают симпатию человека продукту. Возможности должны формироваться из долгосрочных целей продукта, а не диктатуры клиента, тк это эффективно только на короткой дистанции. В тот момент, когда компания начинает только следовать запросам клиентов, она становится обслуживающей компанией, а не разрабатывающей продукты. As a design anthropologist, this book was helpful in illustrating how consumer needs should and can be integrated into the tech development process. This book provides valuable insights into the psychology behind software programming and marketing while demonstrating the value proposition of design/interaction design through various examples. While written more than a decade ago, these principles still stand true and are arguably even more relevant in the face of current emerging technologies. F As a design anthropologist, this book was helpful in illustrating how consumer needs should and can be integrated into the tech development process. This book provides valuable insights into the psychology behind software programming and marketing while demonstrating the value proposition of design/interaction design through various examples. While written more than a decade ago, these principles still stand true and are arguably even more relevant in the face of current emerging technologies. - Drawing a parallel between tech development and media production. Media production can be seen as comprising 3 stages: preproduction, production and post-production. When you plan the pre-production well, the production becomes more efficient and cost-effective. Similarly, by taking time to validate the idea and design the product (not to be confused with visual/aesthetic design) ahead of coding, the programming phase can be more focused and the overall process results in improved quality and customer loyalty. - There are two distinct styles and abilities that need to go into building high-quality software. "The internal facing side of the software, to be handled with technical expertise and sensitivity to the needs of computers. The external facing side of the software, to be handled with social expertise and sensitivity to the needs of the users." One way to summarise it is to design for function and design it for humans. Great book, especially the first part which told how things are really in tech industry. It's surprising that there has not been much of a change with respect to project planning, execution and deliverables. * The majority of time a tech job indeed looks like what's described in the book, with planning coming after the execution, and an overall lack of design which hampers the end product. The way developers feel (and I mean it in the worst way possible) is also a reality, and though I'm not prou Great book, especially the first part which told how things are really in tech industry. It's surprising that there has not been much of a change with respect to project planning, execution and deliverables. * The majority of time a tech job indeed looks like what's described in the book, with planning coming after the execution, and an overall lack of design which hampers the end product. The way developers feel (and I mean it in the worst way possible) is also a reality, and though I'm not proud to say that I feel the same way a lot of time as well. But this book presents a lot of ideas with respect to having better design decisions, most importantly having a bit of empathy with the end users. The bits about Dancing Bear and the division of users into Apologists and Survivors kind of opened my eyes. It's like the reality is right in front of us, but invisible. The bits about personas and general design patterns for interaction designs were a bit dry and I flipped through a lot of these pieces. A must read for every software designer. A great book on process of making software that doesn't require a user manual and 10 hours of learning. Since 1999 many ideas have found their ways into the tech culture. Interaction designer is a full-time job and design is usually done before programming. This seems so natural now that you take it for granted. It is hard to imagine that once these ideas were considered controversial. "A bear isn't very good at dancing. The surprise is that it's dancing at all. Most software is like that." Thing h A great book on process of making software that doesn't require a user manual and 10 hours of learning.